CoreLite Kiln Shelves for sale with easy online ordering here at Sheffield Pottery. Semi-hollow : Lighter and Stronger ! These kiln shelves are extruded to be semi-hollow. This makes them light and strong. 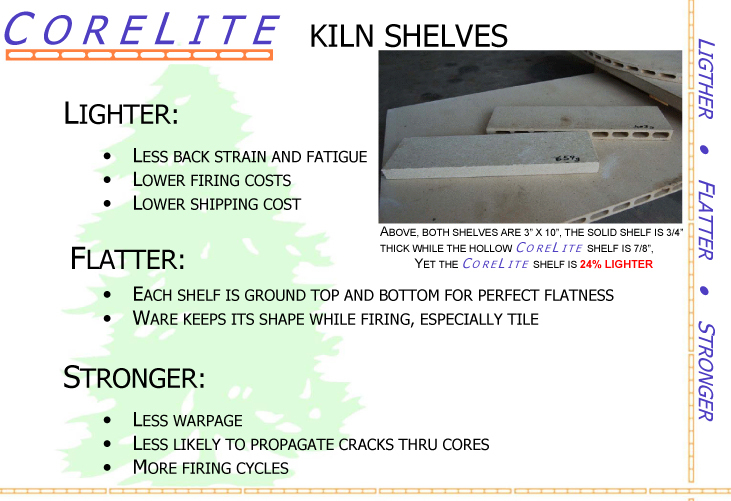 They are approximately 25% lighter than conventional cordierite kiln shelves. They are easy on your back when loading your kiln. Since they have less material mass, they make your firings more energy efficient because less thermal mass means it takes less energy wasted on heating your kiln furniture. Corelite kiln shelves are beautifully finished for a super smooth surface making them great for glass and ceramics. The structure of the shelf makes them resistant to warping even at high temperatures. They are rated for cone 10 temperature. 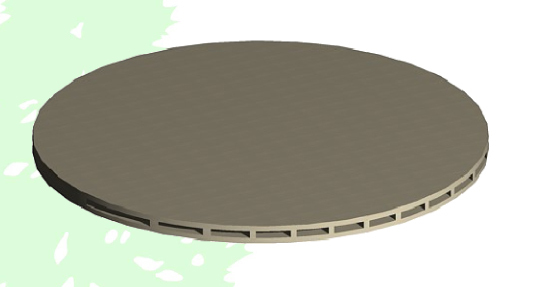 They are suitable for electric and gas fired kilns. They are not recommended for raku or wood firing. These kiln shelves, last longer, warp less and use less energy in your kiln ! 1) All shelves can be shipped via UPS except the 26” full round full shelves and larger. 3) The number of shelves per UPS box is limited to 6 .